God is perfect, Man is not. Man made wiskey, God made pot. When a new nanny comes into your home for the first time to watch your six-month-old infant the last thing that you want to hear is that she spent her morning "helping old people smoke up." Well, that's how Jenny put it on her first day on the job last year. Actually, what she said made me smile. Not because I am a pothead, or ever was -- I never could really tolerate the stuff -- but because I live in a country that has the most progressive laws and outlook in the world for using medical marijuana. No, it's not Canada or Holland. I live in Israel, and I wasn't worried in the least about Jenny's volunteer work to help alleviate pain and suffering in older people. I had already interviewed the man who made medical marijuana what it is, and personally knew people who had been medicating with it. My friend Abi died and was found with an unused joint in his hand, while using pot to treat the pain from an end-stage lung disease. While he had no problem rolling joints Jenny said the problem with old people is helping them use a bong or vaporizer. They often don't know how to inhale because they never smoked cigarettes. So she was experimenting by reverse blowing the smoke or vapor into their faces. Also, rolling and smoking a joint can be extra hard for the elderly, who may be suffering from limited motor abilities due to arthritis, Parkinson's or other nervous system disorders and diseases. Imagine your granny rolling a joint -- but it's granny who might need the medical marijuana the most. While smoking up with a joint may be the easiest way for younger folks to get high, there is a lot of products missing in the market for older people. In this area and others the industry could see an explosive growth like the "gold rush" alluded to in an article in the Puget Sound Business Journal. Investors are currently gathering in the U.S. to look at some novel products they might want to invest in. Novel vaporizers may be the key to a good investment. Bong smoking may be cleaner than smoking with an unfiltered joint, but cleaner still is smoking with a vaporizer. Vaporizers deliver the drug without the toxins released in the smoke. Vaporizers were first used for marijuana by Eagle Bill an American medicine man who tried them out in the early '90s; and then later Canadians and the Dutch started to refine the products on the market today. The Puget Sound article points out several new startup initiatives to get the ball rolling in the medical cannabis industry -- one which is slowly winning over the mainstream. "When it did become legal, we were talking to various different investors at the time," said Josh Gordon, CEO of RoDawg, a "lifestyle brand" creating smoker accessories, including designer joint cases. "From an investor's point of view, it brought the whole lofty goal into reality. And that's something we've noticed a lot, post-legalization." Gordon's company will be one of about 10 startups gathering in Seattle Jan. 28 for a quarterly investors meeting organized by The ArcView Group, a San Francisco-based cannabis industry consulting firm founded in 2010 that has an "angel" investor network focused on that market. About 25 investors will attend, with an interest in participating in the marijuana gold rush that some are hoping for. Legalized in 18 U.S. states, entrepreneurs are hoping that medical marijuana will be as lucrative a business as alcohol and cigarettes. One can even find a medical marijuana cafe in Colorado where smoking pot socially is allowed. This has got me thinking... what could win an investor's prize? Will there be a new product as ubiquitous as the iPhone one day that helps people smoke instead of medicate with conventional medicine? One U.S. entrepreneur, Jason Levin has developed UpToke, a vaporizer the size of a cigar with former Apple designers working on the design, he tells Valerie Bauman of the Puget Sound journal. Israel could be a great place for innovation, too, given its startup spirit and the fact that much of the foundational research on medical marijuana was done here 60 years ago by Prof. Raphael Mechoulam from the Hebrew University. He told me that back in the '60s he'd get pounds of hash seized in Jerusalem by the police. He'd use it for his experiments. He accomplished his mission with the help of an eleven-pound hash ball and isolated the first known cannabinoid, THC. Now in his eighties, Mechoulam went on to discover much more than just the first active compound found in marijuana and hashish. He has laid the groundwork for how researchers work with cannabinoids, some of which occur naturally in the body. His work has been key in getting pot legalized in Israel for medical purposes. For thousands of Israelis suffering from cancer, MS, Crohn's and chronic pain, pot provides vital relief, he says. And while Americans petition state senators to legalize medical marijuana, and the Dutch simply go to an Amsterdam cafe to self-medicate, thousands of Israelis are enrolled in a regulated medical marijuana program. Patients of all ages may apply for approval through their own medical doctor or through the Sheba Medical Center, and must pass a rigorous screening process. Those eligible include cancer patients undergoing chemotherapy; cancer patients with final-stage tumors; patients enrolled in an Israeli HIV center; and people under treatment for chronic pain, Crohn's or ulcerative colitis, MS and post-traumatic stress disorder. When properly dispensed under medical supervision, medical cannabis has a very low rate of abuse, said Mechoulam when I interviewed him for an article on ISRAEL21c. Still working as a researcher, Mechoulam is asked periodically to test the levels of THC in pot grown by licensed Israelis. And while he's happy with the country's progress, he says more research needs to be done on standardizing the dosages and incorporating missing elements in the medical strain used in Israel. I say that entrepreneurs looking to kickstart the next big thing in tech and product design should focus their attention on medical marijuana. What Do You Have To Say About This? Any special feelings, rebuttal or comments? Do you have qny pictures or graphics to add? Great! Click the button and find the first one on your computer. Select it and click on the button to choose it. during the last 60 years has been directed toward the prohibition of marijuana! Is this simply flawed logic? Or is it protective corporate interests? just by searching the web and shopping online! What if Happy Tails Rescue earned a penny every time you searched the Internet? Or how about if a percentage of every purchase you made with 2,400 top stores online went to support this worthy cause? Well, now it can! GoodSearch.com is a fast growing Yahoo-powered search engine that donates half its advertising revenue, about a penny per search, to the charities its users designate. Use it just as you would any search engine, get quality search results from Yahoo, without the built in biases of other search engines and watch how the donations really add up! GoodShop.com also offers a new online shopping mall which donates up to 37 percent of each purchase to your favorite cause! Thousands of great stores including Amazon, Target, Gap, Best Buy, ebay, Macy's and Barnes & Noble have teamed up with GoodShop and every time you place an order, you'll be supporting your favorite cause. Since it doesn't cost you anything and you get proven search results, there's no reason not to use it! We hope you'll not only use GoodSearch as your main search engine from now on, but will also tell your friends, family and co-workers so they, too, can start using GoodSearch to support their favorite cause! Every little bit really does add up and can make a big difference for Happy Tails Rescue and the animals it supports. Why wouldn't you do it? Under the current FDA laws in the united States, it is illegal to make any medical claims for any health supplement or any other natural product. 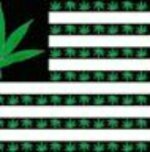 Remember cultivation of Marijuana, use of Medical Marijuana, importation of marijuana seeds with the intention of growing Marijuana or using it is illegal in some countries and many states. While Marijuana seeds, and other items associated with the use of Marijuana, are sold as souvenirs and shipped to any country in the world, your importation of the seeds could be considered a criminal offense for which there could be severe criminal consequences. Check laws within your own country. Medical Marijuana has been legal in numerous states within the united States for many years and recreational use of Marijuana is now legal in Washington and Colorado, since winning by initiative November 6, 2012. The federal government of the united States still considers Marijuana a controlled substance and illegal in all states. Laws change continuously and our intention is to stay abreast of all appropriate laws and provide a compilation of information for novelty purposes only, we do not intend to persuade, induce, intimate or condone anyone breaking any laws, nor does this information pertain to any other substance than Marijuana. All information is for educational purposes only and is not intended to make any legal or medical claims, diagnose, treat, cure, prevent or mitigate any physical or mental condition, nor to prescribe any substance. This site provides helpful information and is supported by compensation from quality advertisers and affiliate relationships. This website is for educational purposes only, scientific or medical research and fun. Cannabis is legal in about 30 countries.